Someday I’d like to host a smorgasbord, you know the Swedish version of a buffet. I imagine a long, candlelit wood table piled high with smoked fish, pickled vegetables, bread, spreads and cheese. Foods that tastes great at room temperature. 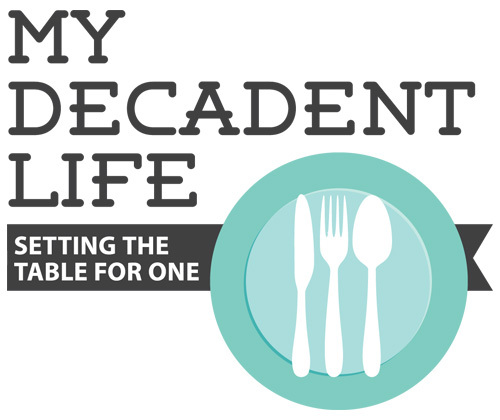 Once the table was set, guests could help themselves, while I join the party. Sounds lovely, right? Making a meal from finger foods is always fun. I adapted this recipe from David Lebovitz. His Baba Ganoush serves eight, so I cut mine in half. I’ve come to the conclusion that leftovers are important to me, although the amount of them should not be overwhelming. Cook once and eat twice, three, maybe even four times; but never eight. Set oven to broil. Arrange racks so eggplant will cook just below the top element. Poke holes in the eggplant with a fork. Place eggplant in an oven safe dish and broil until skin is charred on both sides and flesh is very soft. Remove from the oven and let cool. Meanwhile, place the other ingredients in a food processor. Scoop the eggplant flesh away from the charred skin and add to the processor. Blend until combined. 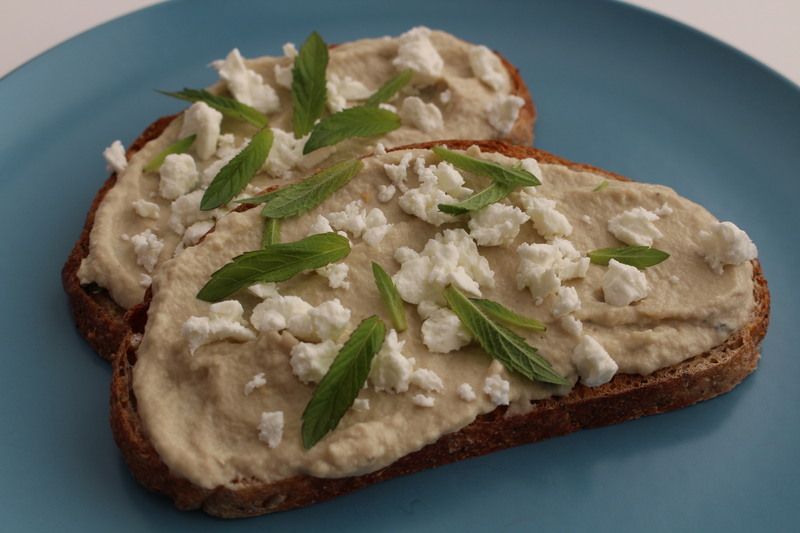 I spread the Baba Ganoush on whole grain toast and sprinkled feta and fresh mint over the top.